Asus, the leading smartphone brand is on a smartphone launch spree and has launched several 4G mobile phones in the past year. Asus smartphones have a vision of enhancing the user experience, and this Taiwan-based technology leader plans to deliver just that with its newest range of 4G smartphones which are available at MySmartPrice. You have a plethora of options available in Asus to choose at a price that fits your budget. For the people who have very tight budget in their pockets, you have the likes of Zenfone Go, Zenfone Selfie. 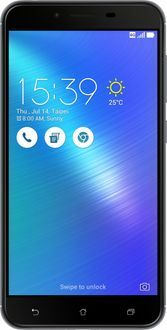 For people who are extravagant in the spending, you have Zenfone 3 Deluxe, Zenfone 3 Ultra that comes in top class specifications that are valid for another 5 more years. On the top of everything, you have an awe-inspiring typical Asus design that brings more pretty to the phone. Now, it is your choice to choose the telecom network to use on the phone. Whichever you choose, catch the amazing and blazing internet speed you have never seen before. Asus has announced that the latest update for the Asus ZenFone Max Pro M1 3GB and 4GB RAM Variants will bring electronic image stabilisation (EIS) and live wallpapers for the device. For now, only the 6GB variant received these features. The roll out will take place in batches.